Before beginning with the vocabulary activities you may wish to visit the "help" page. If so, use the button with the question mark on the left side of this page. 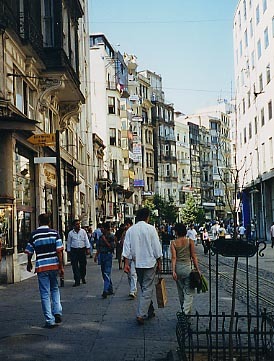 In this unit, you will see pictures of people pursuing a number of occupations commonly seen in Turkish streets. The nine exercises will help you to learn or review 13 occupational terms. Imagine strolling through a farmer's market in a small town in Turkey. 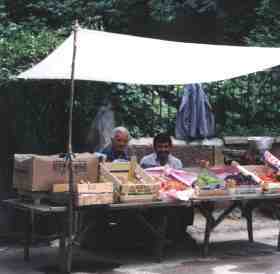 On the market, you see a large variety of goods but don't know or remember their names in Turkish. The nine exercises in this unit will help you to learn or review 13 goods sold on a farmer's market.